Raglan’s Traditional Shotokan Karate-do Federation dojo came home with two medals from the 2019 Australasian Championships and training seminar held last week in Taupo. Teiani Ralaimihoatra, 12, took out gold in the kumite (sparring) and Shylah Williams, 12, picked up a silver in the kata (movement sequences). 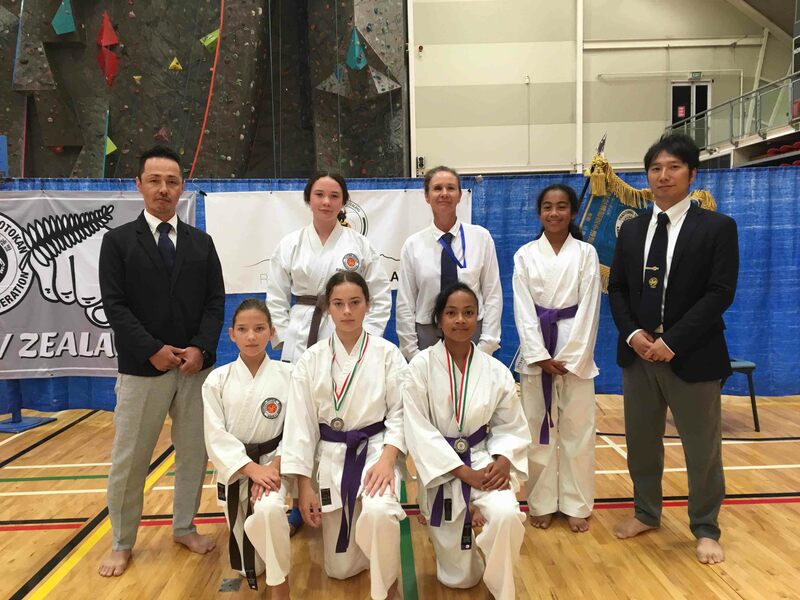 Led by sensei (teacher) and competition judge Maureen Stockman, the team – Teiani, Shylah, Heiana Ralaimihoatra, 11, Kayla Stockman-Bond, 12, Crystal Goodwin-Metz, 12 and Laurent Torlois – were competing against larger dojos from across New Zealand and Australia. “It’s a great result for our little dojo. The hard work and dedication by the team has paid off,” Maureen says. Before the competition, the 200 competitors also take part in an intense training regime with top Japanese, New Zealand and Australian sensei. Maureen says the main goal for the Raglan group was to complete the gruelling training which consisted of two-hour sessions twice a day for three days and coming home with the medals was the icing on the cake. 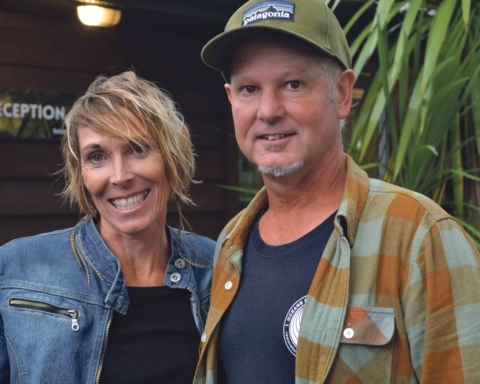 With nearly 40 years karate training under her belt, the second-degree black belt started the TSKF dojo in Raglan three years ago, which is also affiliated to the International Shotokan Karate-do Federation. She says attending regular seminars is an important part of her training and the Raglan team are lucky to have opportunities to learn from high-ranking sensei from around the world. TSKF was formed over 40-years ago by ninth dan Takahashi Shunsuke Shihan of Japan and the eight New Zealand dojos are guided by chief instructor Mark Willis Shihan, eighth dan. Maureen says the consistent practice of karate is a holistic vehicle to health and wellbeing, and Shotokan karate is suitable for all people, age, gender or fitness level are not a hindrance – eight years old is a good age to start children. TSKF Raglan would like to express their gratitude to the Raglan Lions who kindly sponsored part of the trip. The Raglan TSKF dojo train on Tuesdays and Thursdays at 6.30pm during term time at the Raglan Area School gym. For more information contact Maureen on 022 026 7383 or mausnrags29@gmail.com. Check out the TSKF NZ website at www.tskfnz.org.nz.